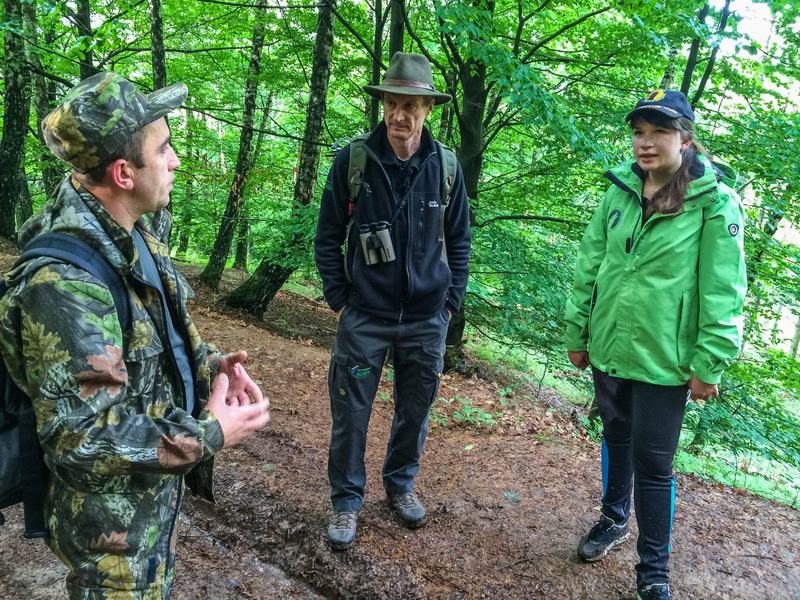 Wilderness Experts Exchange Programme is heading next week to the wilderness in Ukraine with a focus on exploring beech forest wilderness in the Transcarpathia Region. An Expert from Austria, Herbert Wölger, Director of Gesäuse NP, accompanied by EWS Deputy Chairman and local, European Wilderness Society (EWS) Ukrainian staff, are going to visit Zacharovanyy Kray Wilderness and the new Carpathian Biosphere Reserve potential wilderness. Zacharovanyy Kray Wilderness (1332 ha) is imbedded in the Zacharovanyy Kray National Park (6101 ha). Zacharovanyy Kray Wilderness consists of four parts which are ecologically linked through beech forest in tourism development zone. These 2 zones create a large unfragmented piece of beech forest with the large peat bog in the middle. The area is currently in the process of enlargement due to existence of significant wild beech forest areas in the surroundings. Carpathian Biosphere Reserve (CBR) host the largest potential wilderness area in Ukraine! This area just recently confirmed interest to become a member of the European Wilderness Network. CBR was created to protect the specific ecosystems of the Carpathians as part of a wider network of protected ecosystems throughout the former Soviet Union. It became a UNESCO Biosphere Reserve in 1992 and it consists of a total area of 57,880 hectares of which a significant part of the reserve is a potential wilderness. The area scheduled to be visited in the coming days – Uholka – is located in the southern part of the Uholsko-Shyrokoluzhanskyi Massive and includes the largest unfragnented old-growth beech forest in whole Carpathian. Besides that the visit will focus on exchanging information among wilderness managers in visited areas and also discussion with Mr. Nikola Derbak, Director of Synevyr National Park, can dditional area with a strong interest to join the European Wilderness Network. During these days the second European Wilderness Society team led by the Max A E Rossberg, Chairman, is also visiting that region to push ahead with several infrastructure investment projects in Zacharovanyy Kray NP (including building up a modern toilet and adding new signage). Another major topic will be the launch of the just recently established Carpathian Sustainable Tourism Centre (CSTP Centre). The Carpathian Sustainable Tourism Center in the Ukraine, with supporting offices in Austria, Slovakia and Germany, will promote the intensive cooperation of the tourism sector actors from all the Carpathian countries in the implementation of the tasks listed in the Carpathian Convention Sustainable Strategy through an active network of relevant partners. The Carpathian Sustainable Tourism Center in the Ukraine is a joint initiative of the European Wilderness Society and Ecological Tourism in Europe (Ökologischer Tourismus in Europa e.V.). Dear Olga, Please let us know why are you very happy with these initiatives… If you want we can make a short interview on this subject and put it as a News on our website. What do you think?? ?